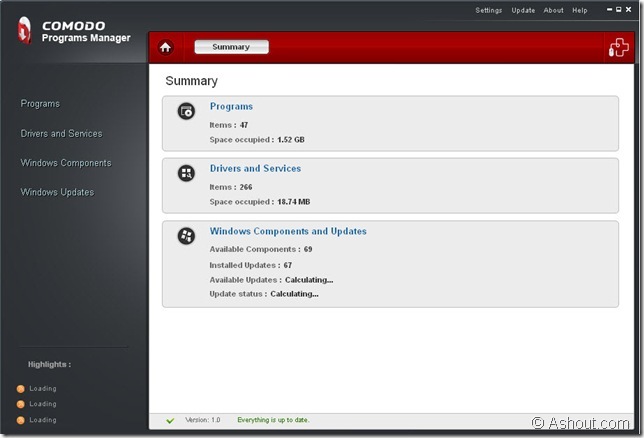 When I starts installing comodo programs manager first what I feel is its design which looks something similar to Ubuntu OS. It looks similar to that when I’m installing this software. When you run this software you will see the dashboard as shown in the below image. In that you will get some details about number of programs you have installed in your system, space occupied, number of drivers and services and also it shows information about Windows components and Updates information in the dashboard itself. Comodo programs manager mainly having 3 tabs which is available in the left side. The tabs are Programs, Drivers and Services, Windows Components and Windows Updates. These tabs provides a full information about the small details which is shown in the dashboard. Programs Tab: In programs tab we find information about the software we have installed on our PC. The one main benefit of Comodo Programs Manager is that, we can uninstall many programs/software at the same time. We do that by clicking Ctrl Key+start selecting programs you want to uninstall. We can also get Repair and Change folder option if the software is supported. Drivers and Services: In Driver and Services tab we can get the information about drivers which we have installed on our pc. 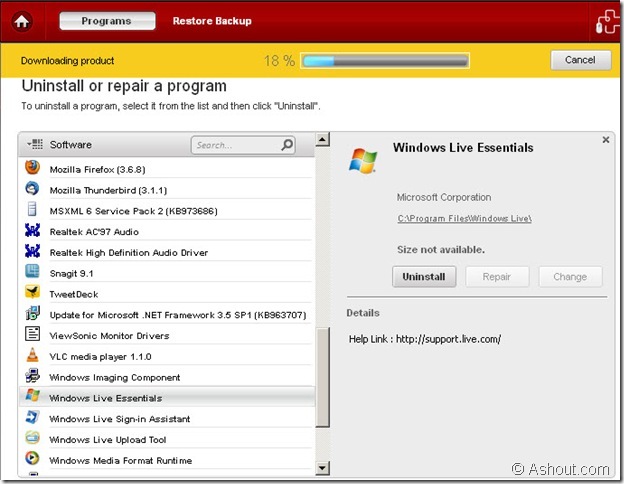 If you don’t know how to uninstall drivers in inbuilt method then this option may helps you. Because we can easily search with search option and uninstall easily. Windows Components: In this tab we can easily turn on or turn off default windows components. It helps you to disable unused components on windows. Windows Updates: In windows updates tab we will see the windows updates what we have installed on our computer. We can also uninstall windows updates as other programs. Totally this comodo programs manager is good for those who don’t know advanced option of default windows. It helps newbie giving description about that particular software what you have selected. You can try once, you may like it.